Thrombodynamics-4D – new innovative global coagulation assay, highly sensitive both to hypercoagulation and to hypocoagulation states. 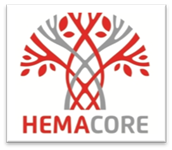 HemaCore Labs was founded in 2012 as a biotech company and headquartered in Russia, Moscow. We focus on developing, manufacturing and implementing into clinical practice new in vitro diagnostics for hemostasis – Thrombodynamics-4D. Thrombodynamics-4D assay – a new highly sensitive test for monitoring and risk assessment of blood coagulation disorders – bleeding and thrombosis. We help physicians who deal with patients with thrombotic or bleeding risks succeed providing clear and reliable estimation of patient’s coagulation state, thus preventing thrombotic or bleeding complications. Unlike current diagnostic coagulation assays, Thrombodynamics-4D assay, being based on a cutting edge 4D-biochemistry technology, can be used for estimation of severity of procoagulant changes and precise control of anticoagulant therapy as demonstrated by clinical studies and our clients experience.